According to insight from Systematics International, 2018 was a successful year for UK construction equipment sales. More than 24,000 units were registered demonstrating year-on-year growth of more than 4%. 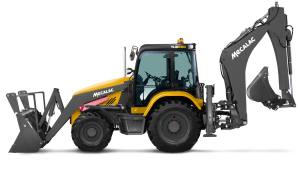 Mecalac Construction Equipment UK Ltd, a global leader in the design and manufacture of compact plant solutions, has experienced this success first-hand – in particular, for its highly-acclaimed backhoe loader range. According to the company’s latest sales figures, UK registrations increased by 34% year-on-year (2017-2018), while export volumes similarly continued to rise. The company credits this hike to a strong national infrastructure project pipeline, driving market demand for rental-tough, mobile excavating equipment. Mecalac’s sideshift backhoe range, comprising three models (TLB870, TLB890, TLB990), is perfectly placed to meet fleet requirements. Designed from the ground-up to deliver class-leading power, performance and productivity, each model achieves an outstanding dig-depth, reach and dipper tear-out force. 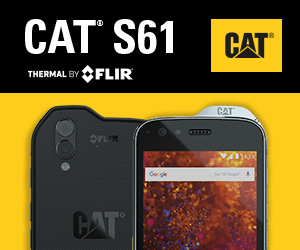 Featuring the latest in emissions-compliant engine technology, fuel-saving measures and intelligent user features, the range is already a firm favourite for construction professionals worldwide. TLB870 –As Mecalac’s entry-level backhoe, the TLB870 delivers exceptional value. The 74hp water-cooled engine ensures smooth and efficient operation, while powerful hydraulics make light work of tough tasks. Below 56kW to avoid engine after treatment demanded by legislation. TLB890 –Productive, cost effective and flexible, the TLB890 combines the power of a wheel loader and the versatility of a compact excavator. Ideally suited to applications including civil engineering, highway maintenance, utilities and agriculture, the 100hp machine delivers fast cycle times and impressive operation economies. 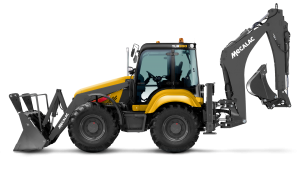 TLB990 –Designed to deliver outstanding performance, the top-of-the-range TLB990 is packed with innovative features; including Mecalac’s four-wheel steering system and crab steer mode. Impressive capability is perfectly paired with innovative user technologies, making the model Mecalac’s most advanced backhoe ever. 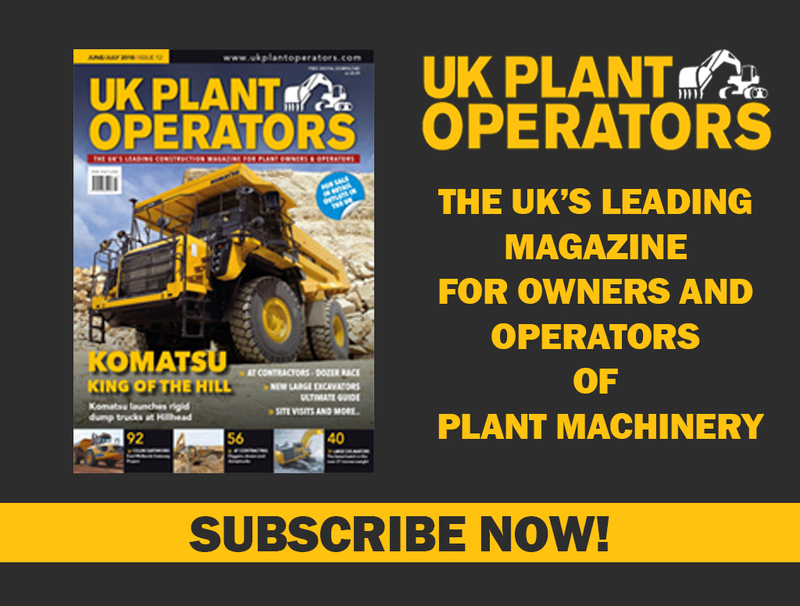 Paul Macpherson, UK Sales and Marketing Director at Mecalac CEUK, commented: “Since the 2008 slump, construction equipment sales have continued to recover. The latest insight from Systematics predicts further growth over the coming months, with the long-term outlook looking ‘encouraging’. 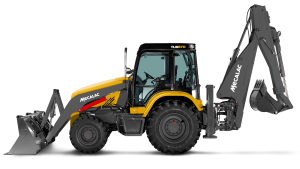 “At Mecalac, we’ve noticed this impact, especially in the context of backhoe loader sales. A year-on-year increase of more than 34% is a considerable success, while rising export sales against the background of a weak global market highlights the suitability of our product portfolio.